While that small little drip in your sink might seem insignificant to you today, it has the potential to become a plumbing emergency if you do not have this issue taken care of as soon as possible. That small leak is not only costing you money in wasted water each year, if the gaskets in the faucet were to completely deteriorate while you were away at work or on vacation, you could return home to a flooded house. 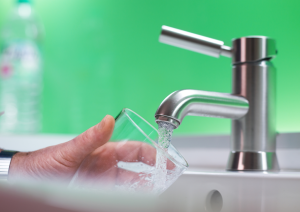 Here are some of the reasons why faucet and sink fixture repair are so important. The faucet will give you obvious signs that it needs to be replaced. If you see water leaking from the hot and cold fixture, the seals and gaskets might be broken or worn. These gaskets are usually a quick fix for a professional plumbing company. If they see that the gaskets are not replaceable, they will often recommend that you have the entire faucet replaced before that leak becomes a serious water emergency. If the faucet were to break while you slept, that eight hours could allow the room to become significantly damaged from the excess water. 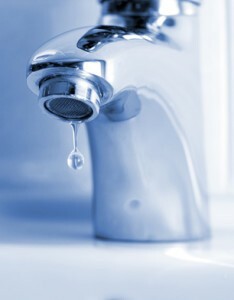 The first sign of damage is obviously the water dripping and leaking from parts of the faucet that should remain dry. The hot and cold water knobs should be able to close tightly, if they are loose and do not stop the flow of water, a replacement is often the best solution. Any cracks in the faucet or the bowl of the sink fixture itself could also be a clear indication a replacement is in order. That small crack could cave in on itself at anytime. The best way to avoid the faucet from being broken in the future is to pay close attention when you see anything that is not ordinary around the sink. Leaks, cracks, drips, and loose fixtures are all early warning signs that something is not right with the faucet. When you call your local plumbing professional and schedule a preventative maintenance plan, you reduce the chance of any of the sinks in the house causing water damage because part of the plan covers your plumber inspecting the premises for any early signs of damage.